Aortic stenosis (AS) is an increasingly common problem in developed countries. 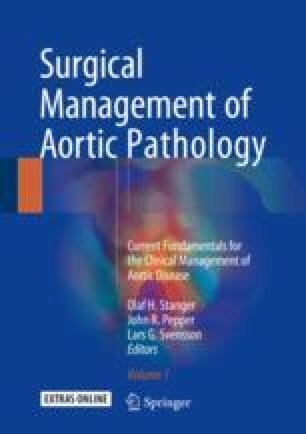 While surgical aortic valve replacement (SAVR) has long been the gold standard for managing severe, symptomatic AS, there has been a significant shift in the age and complexity of patients requiring intervention, and as a result, an increasing number of patients are not candidates for surgery. Transcatheter aortic valve replacement (TAVR) has developed into a vital alternative for inoperable patients and has shown excellent results in high- and even moderate-risk populations. As the technology has evolved over more than a decade since the first in-human TAVR, the procedure itself has become in many ways routine, has shown excellent safety, and has been adopted by hundreds of hospitals throughout the world. Despite this rapid expansion of TAVR technology, the patient population remains very complex, and individuals frequently have significant comorbid conditions that make TAVR anything but routine. Therefore, the goal of this chapter is to discuss the management of especially high-risk or atypical patients requiring TAVR, how to approach uncommon anatomy or comorbid conditions, and the management of unusual procedural complications.